Cute creation but wool does that to me too:) The older I get, the more I itch with things like that! Stitching in clothes is another one, if it itches... it comes off! Have a blessed 2011 my friend! I know it is going to be a great year! HUGS! It's cute! Too bad it made you itch! It is very cute and wool makes me itch too! How sweet! I have to follow the group and say that wool makes me itch too. Wonderful news about the knitting group. The bracelet is adorable - and seed stitch! 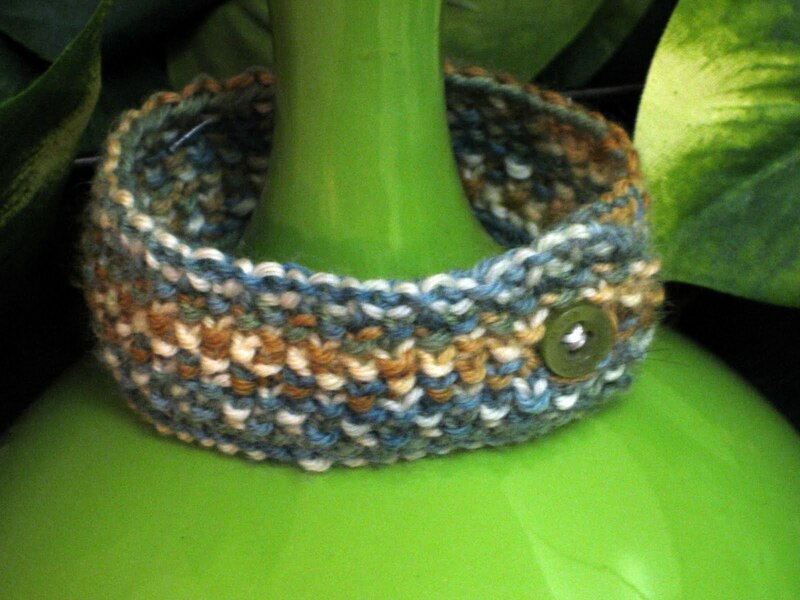 We love seed stitch, don't we? I'd join your knitalong, but it seems I only pick up the sticks around Christmas time. I'm not going to fight it - I have to make time for sewing and other stuff too. But I'll be following along, living vicariously through those of you who actually have knitting talent! It is really cute - I love the colors. I'm a bit fiddly about things on my wrist anyway, so it may bother me - wool or not. I love how your photographed it! i'm having to re-learn knitting following my illness last year. bt that's not really as bad as it sounds, everything is so fresh and new. cute little trimming you made for yourself. make yourself one more that you can wear without the itching. Very cute! And congratulations on your new techniques group -- that's amazing!!! Very cute idea...maybe silk yarn the next time?